Microsoft's advice to AV vendors: “We have to remember who the bad guys are." Topic: Microsoft's advice to AV vendors: “We have to remember who the bad guys are." Batchelder said the data covers broad-spectrum malware and not mobile threats or so-called “advanced persistent threats,” a label usually attached to more sophisticated, targeted attacks. 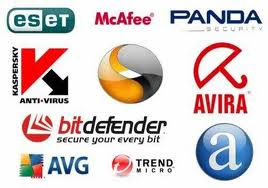 But there are new companies into the antimalware field, which sometimes don’t play fairly, he said. “If we’re not careful, AV is going to turn into unwanted software,” he said. In China, antivirus vendors have at times engineered their products to remove their competitors’ products from people’s computers, he said. In other cases, users may be blocked from running an AV program unless another application is removed, such as a chat app. The situation may occur if a software company isn’t a pure play security vendor and offers other products, such as a search toolbar. That essentially turns AV into a weapon, Batchelder said.